Fashion and Nature. When these two worlds collide, the results can be either beautiful or disastrous. The fashion and beauty industries are responsible for many not-so-beautiful impacts on the earth and Aveda’s eco-aware mission for “environmental leadership and responsibility” is perhaps more important now than ever before. There is something you can do to help! Aside from the better-known ways to take care of Mother Earth – reduce, reuse, recycle – there is always more we can do. Taking care of our planet is important to us so we want to help our communities make eco-conscious decisions that will take less of a toll on our natural resources. Here are some key ways to be more fashionably eco-friendly. Chances are if you love shopping, getting a great deal online is part of the fun. However, with the energy used for shipping and materials wasted on packaging, shipping online isn’t always a great bargain. This TedEd video on the lifecycle of a T-shirt is an informative illustration of this process and how we contribute to the negative effects on the earth by shopping online. When you shop locally, you help minimize the impact of the delivery industry and even support your local economy. Raiding your grandmother’s closet can breathe new life into garments that deserve a second chance. Let’s face it: nowadays clothing isn’t made the way it used to be. You can usually get more mileage out of older clothing made from materials meant to last and reinforced construction, especially on vulnerable seams. 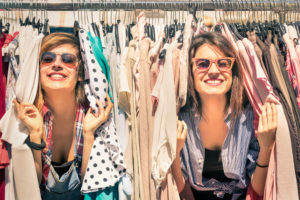 Older clothing can also bring your sense of unique style to light. Talk about a one-of-a-kind way to stand out stylishly! Nobody expects you to be as crafty as Martha Stewart, but even she will break out the old needle and thread to repair her work shirt. Being able to restitch a hem or sew on a button can mean having a new cleaning rag or getting more mileage out of your clothes. Below is an easy-to-follow video on the five basic stitches you can master to save your clothes from the donate pile. And if you find that hand-sewing is not your strong suit, you can always hit up a local tailor shop in your area. Use only cold water when you hand wash or machine wash your clothing. This not only saves on energy waste for heating water, but evidence shows that it might save your clothes as well. 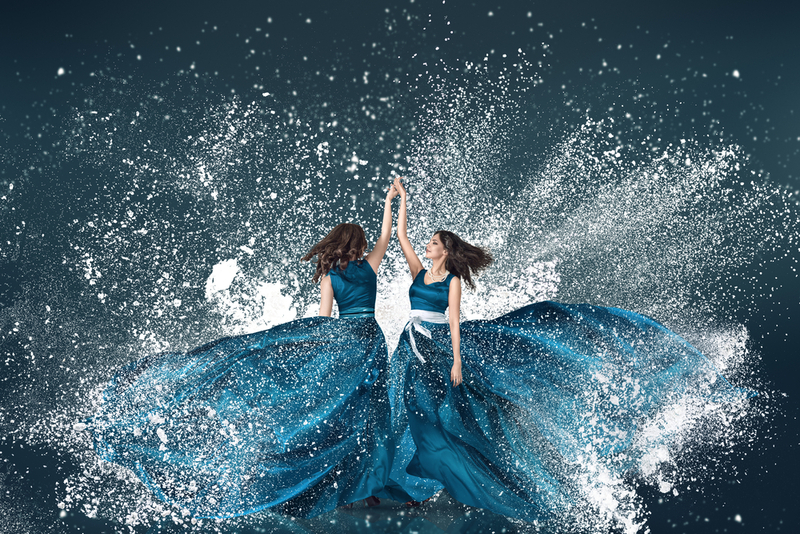 According to Real Simple, cold water can help your wardrobe remain colorfast and even eliminate odors better than warmer water. Bonus Tip: hang dry your laundry whenever you can to save even more energy. Birds of a feather stick together. This is never more true than when we think about our fashionista friends. Organizing a clothing swap is a fun way to expand your closet exponentially! And even though our friends come in all shapes and sizes, it’s a fun way to share and get new items to show off in your selfies without spending a dime or costing our planet. 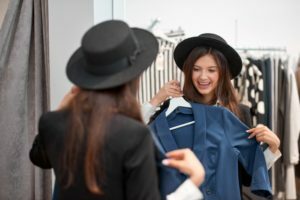 Want more ideas on how to be more eco-friendly with your fashion choices? Be sure to follow our “Earth-Friendly Fashion” board on Pinterest for earth-saving inspiration. 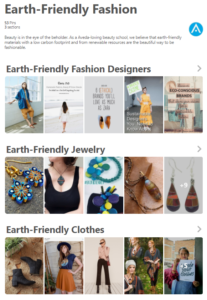 We have pinned some creative and crafty ways to become more eco-conscious, with pins that highlight “green” fashion designers, beautifully crafted jewelry, and more! Aveda has worked for almost 30 years to protect and our planet, especially clean water. In honor of Earth Month and being a conscientious consumer, click below to learn more ways to make a “better beauty mark” on planet!